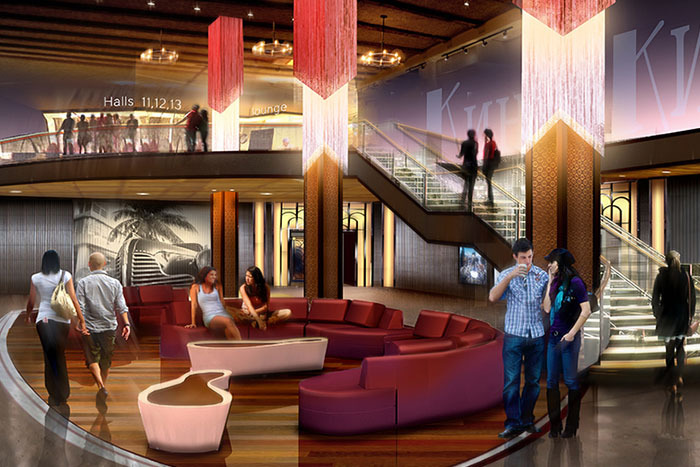 Description of Concept: Created for an International client that wanted an Art Deco look with a contemporary twist, this space allows VIP’s to climb to the second level via a grand stair and balcony that overlooks seating in the main lobby. 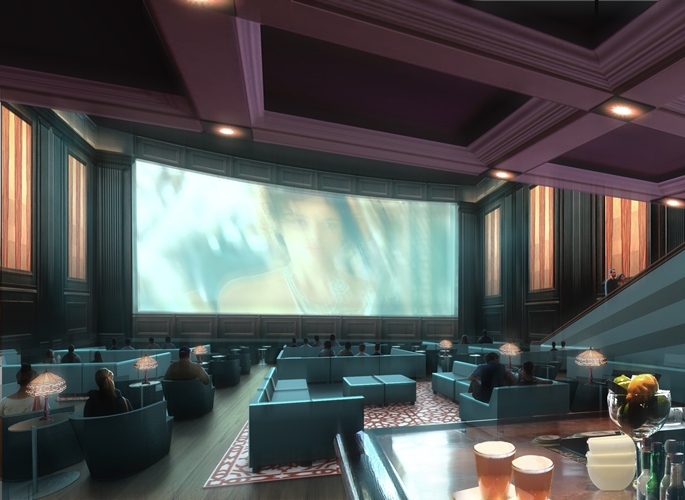 Description of Concept: This social experience auditorium/lounge allows patrons to interact with easy access to the bar and each other during movies. The space is separated from fixed, traditional seating that is located above. 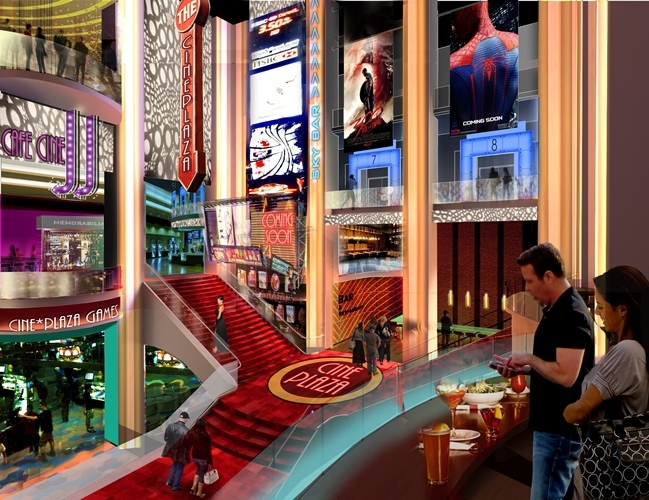 Description of Concept: Focused on revenue generation by showcasing entertainment options, this lobby is where the activity of Times Square meets the grandeur of a classic cinema palace. 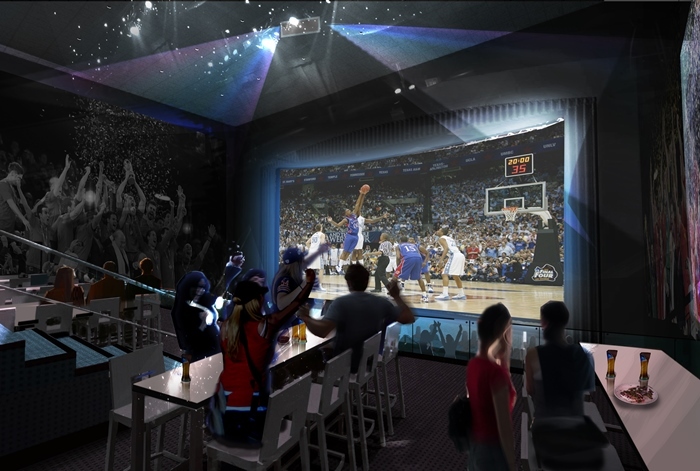 Description of Concept: This large format screen literally wraps around premium seating. This auditorium can show traditional cinema or alternative content. Description of Concept: From concerts to the Opera or sporting events, this convertible auditorium has retractable seating that can change from traditional theatre seating to exposed platforms that can hold bar tables and chairs. 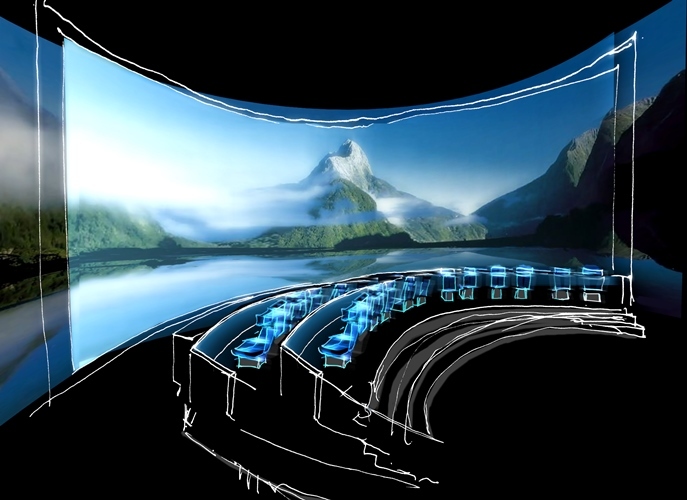 Projectors on the sidewalls can be used to create a truly immersive experience.